Magic Mike actor Joe Manganiello is producing a film inspired by seminal ’80s band, The Smiths. Latest casting news from TV and film. Tom Cruise looks set to work with his Edge of Tomorrow director Doug Liman on a new project which would see the actor playing a pilot in the 1980s. No, it’s not another Top Gun, this time Cruse would be playing a real-life pilot called Barry Seal who was a gun runner and drug trafficker who transported contraband for the CIA and the Medellin cartel. If Cruise and Liman sign on then the film, called Mena, is expected to be made later this year. Stevie Wonder is working with NBC on a miniseries set against the background of America’s underground railway and the slaves who worked on it. The series is already being developed into. Broadway musical with Stevie writing the score. NBC has also signed a deal with Dolly Parton to work on a series of TV movies based on her songs, stories and life. The films are expected to include music but won’t be musicals and Dolly may appear in them. Lea Michele, Joe Manganiello, Abigail Breslin, Ariana Grande and Keke Palmer have joined the cast of new TV series Scream Queens. They join Jamie Lee Curtis and Emma Roberts who have already signed on to the drama which has been created by Ryan Murphy. Like almost all of Murphy’s shows (apart from Glee) it will be an anthology series with the first season set on a college campus which is rocked by a series of murders. The show will air from this autumn. How’s this for a dream cast? Brad Pitt, Ryan Gosling, Christian Bale and Steve Carell are all in talks to appear in a new film called The Big Short. The multi-strand drama is set against backdrop of the housing and credit bubbles of the 2000s that led to the 2007-08 global financial crisis. Everyone’s currently in talks so we’ll have to see what happens but wouldn’t it be great if they all sign on? 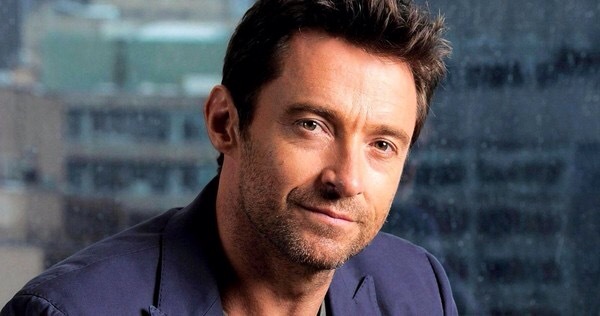 Hugh Jackman is set to star in a new film about Eddie ‘the Eagle’ Edwards. He won’t be playing the ski-jumper, that will be rising star Taron Egerton. Instead the Oscar-nominated actor will appear as Eddie’s mentor, Chuck Berghorn. The film’s been in development for years, I remember Rupert Grint being attached to play Eddie at one point, but it looks like it’s finally going ahead with Dexter Fletcher directing. Jennifer Lawrence is expected to play a freediver in a new film based on a true story. JLaw is in talks to star in The Dive which is being produced by James Cameron. Francis Lawrence is in talks to direct. The film tells the story of Francisco “Pipin” Ferraras and his wife Audrey Mestre, who competed to travel as deep as possible underwater on a single breath of air. Lawrence will play Mestre, who died during an attempt to beat her own world record of 557.7 feet. Ben Affleck looks set to work with David Fincher once again on a remake of Alfred Hitchcock’s Strangers on a Train. To make it a proper Gone Girl reunion, Gillian Flynn is expected to write the script. Although based on Hitchcock’s adaptation of the original novel by Patricia Highsmith, the new version is expected to differ somewhat. Affleck will play a movie star in the middle of a campaign for an Oscar during awards season whose private plane breaks down and is given a ride to LA on another plane by a wealthy stranger. Sounds pretty awesome. Meanwhile Jeffrey Tambor and John Lithgow are joining Affleck on another project. They’re both in talks to appear in thriller The Accountant. They join Anna Kendrick, JK Simmons and Jon Bernthal who have already been cast in the thriller which follows a mild-mannered accountant who also happens to be an assassin. Gavin O’Connor directs. Edgar Wright may work with Ansel Elgort on his next film. Elgort is in early talks to star in Baby Driver Which is about a young getaway driver who is coerced into working for a crime boss. 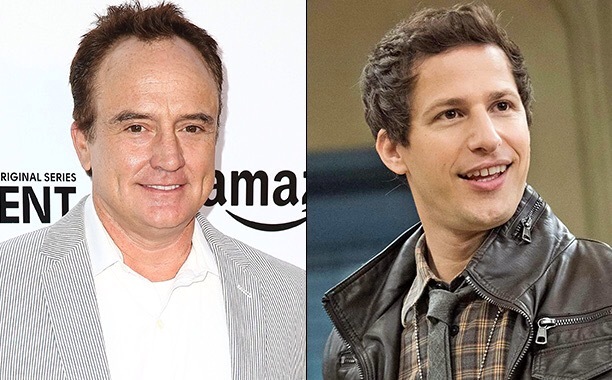 Former West Wing star Bradley Whitford is joining the cast to Brooklyn Nine-Nine. He will play the father of Andy Samberg’s character Jake Peralta. Whitford is set to appear in at least one episode as Captain Roger Peralta, a charming regional airline pilot who has made a career out of letting down Jake.